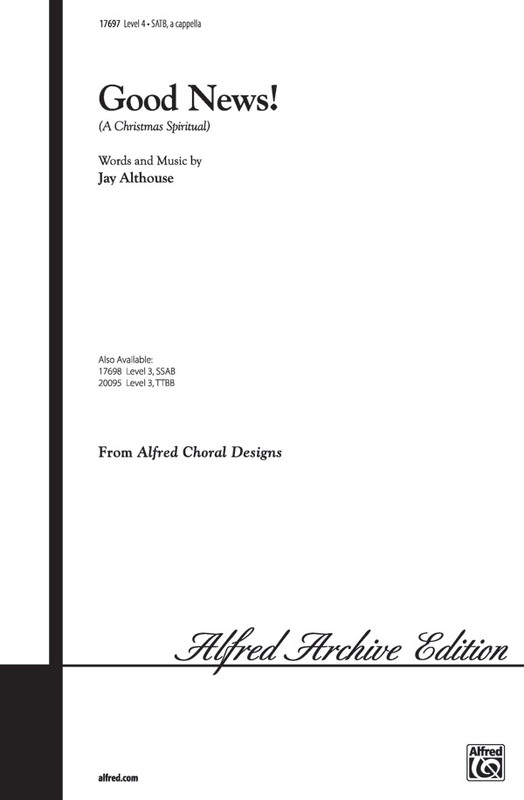 One of the best in a long line of exuberant, original, a cappella Christmas spirituals by Jay Althouse. It opens with an energetic melody sung by the low voice with the upper three voices singing in counterpoint above. Rhythmic energy develops the piece and it ends with an electrifyimg eight measure coda that's the pinnacle of excitement. No solos, no tempo changes make for quick learning. In the classic spiritual tradition, yet fresh and contemporary.